Another unique and impressive fireplace model from our talented design team. 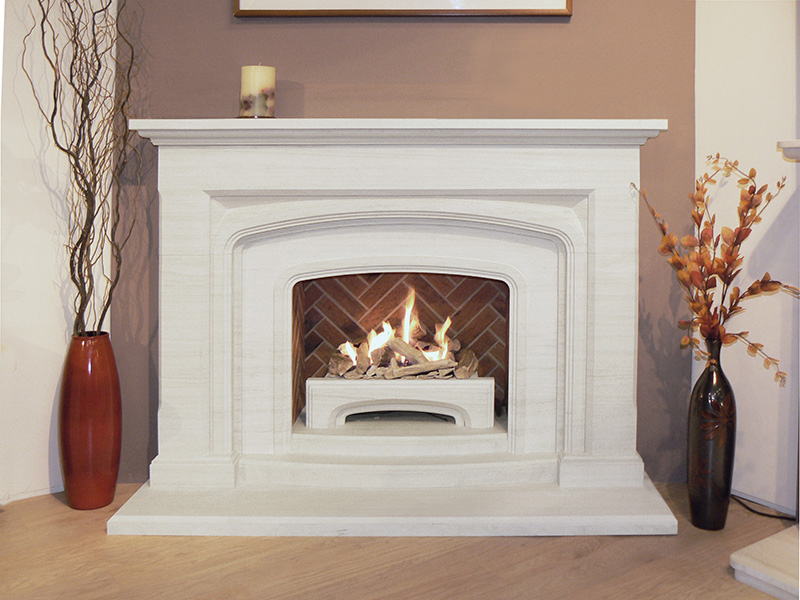 A gentle sweeping arch adorns sensational detail combined with a raised plynth and a matching limestone fire basket make this fireplace a true masterpiece. Available with either a rustic brick chamber or matching limestone chamber.